Do you remember as a child how much fun it was to fill up a paper bag with sweets? Bring that nostalgia into the present, with our sweet table decorations. 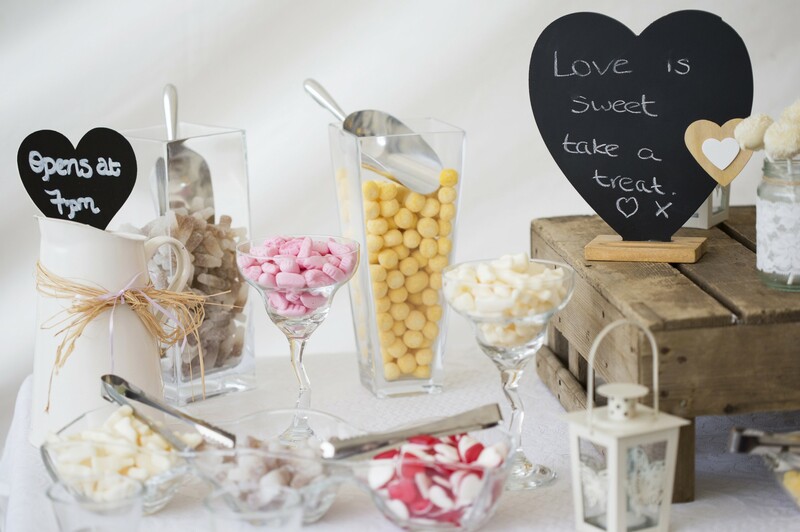 We can create a beautiful display of all your favourite childhood sweets to bring those fun memories back to life. 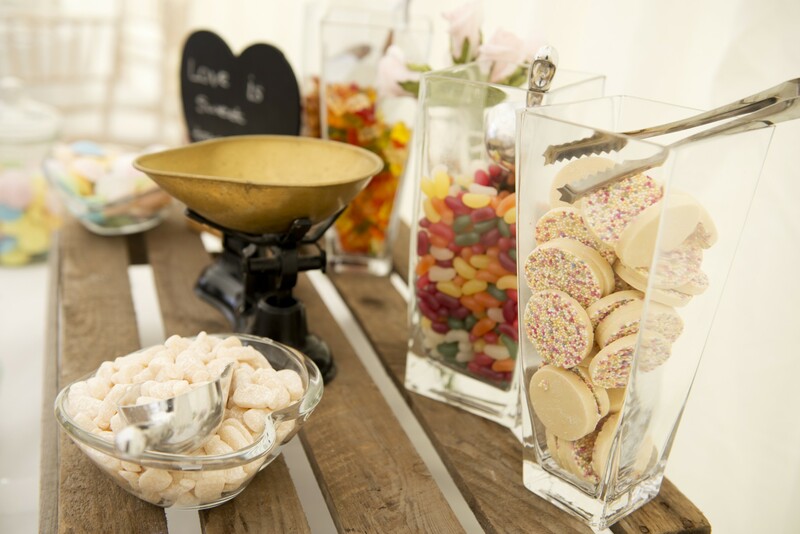 We’ll arrange an appetising display of traditional sweets in a variety of traditional and elegant glassware with accompanying sweet scoops, tongs, traditional striped paper bags and weighing scales. The table can also be decorated to compliment your event’s chosen theme or colour. Our sweet table decorations will add that extra special touch to your event, giving your guests a delicious trip down memory lane. 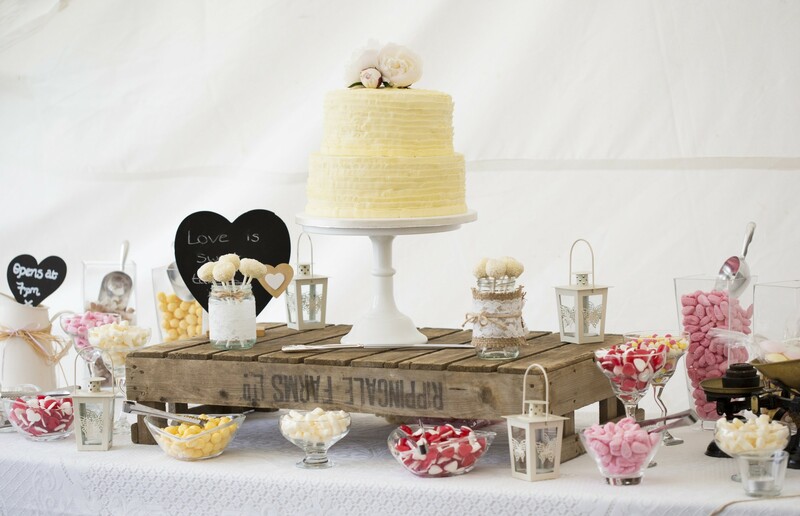 Let us create a beautiful vintage sweet table for you and your guests to enjoy at your special event. Best of all you get to keep all left over sweets! 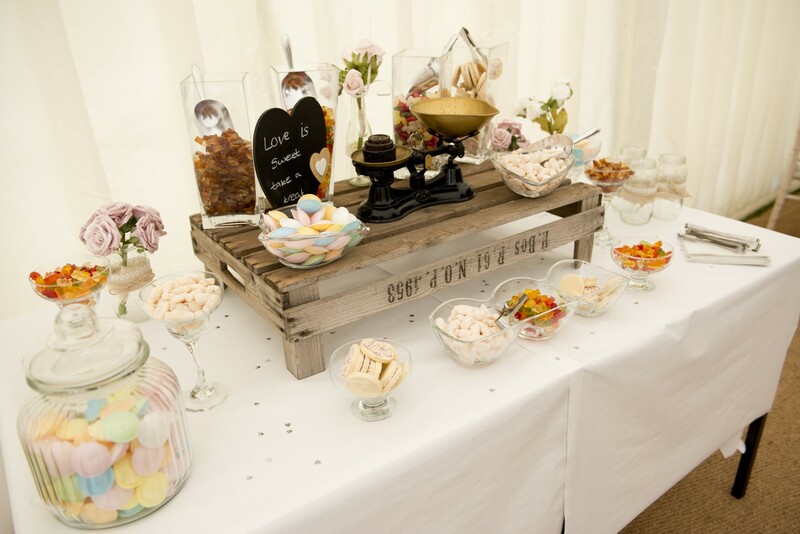 All sweet tables can be styled specifically to co-ordinate with the theme and colours for your event with props to accompany the style. Prices start from £1.75 per person.